State attorneys-general across the U.S. have served as a critical check so far on the Trump administration’s anti-immigrant initiatives—but their struggle may soon get tougher as federal court vacancies are filled by more conservative judges, an audience at John Jay College of Criminal Justice was told Monday. Gurbir S. Grewal, New Jersey’s Attorney General, said he hoped the new Democratic majority elected to Congress in last month’s midterms would take up the task as the White House “packs the courts” with new judges closer to its ideological views. In blunt remarks to faculty and students, Grewal said that state attorneys-general have frequently joined forces in the past two years to battle “harebrained” federal schemes, such as attempting to block visitors from some Muslim countries. 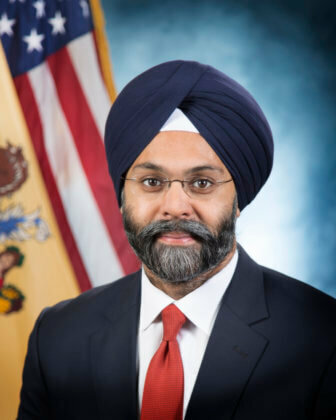 “When the Department of Justice stands down on its obligations, we stand up,” said Grewal, a former federal prosecutor who was appointed in January by New Jersey Democratic Gov. Phillip D. Murphy as the country’s first state attorney general of Sikh heritage. New Jersey recently sent prosecutors to Texas to successfully battle an attempt in federal court there to repeal the status of “Dreamers”—young people who have been granted leave to stay in the U.S. under the Deferred Action for Childhood Arrivals (DACA) Act. But, Grewal added, efforts by attorneys-general to fight Trump initiatives in federal court are likely to become more difficult as the administration attempts to fill judicial vacancies at the district or appeal court levels with judges more favorable to its “ideological” point of view. The hope is that the newly elected Democratic members of the House, who will be a majority when they take office in January, can act as a more effective brake on government initiatives and, in particular, counter the anti-immigrant rhetoric coming out of Washington, Grewal said. “We have seen a president who has pitted communities against each other, put children in cages, demeaned the humanity (of immigrants)” by referring to them as thugs, and helped foster an atmosphere in which “bias and hate” could flourish, he said. But Grewal also pointed out that he, like other state attorneys-general, was already moving from battling against the government to developing positive initiatives. “We can start building models of what good government looks like,” he said, pointing to recent initiatives such as the Immigrant Trust Directive, announced last week, which ordered New Jersey law enforcement agencies to limit cooperation with federal Immigration and Customs Enforcement (ICE) agents. Grewal has also promised major reforms in police training, including violence de-escalation tactics, following a New Jersey newspaper investigation that uncovered a pattern of questionable use-of-force incidents by state law enforcement over the past five years. See also: NJ Attorney General Grewal Promises ‘Wholesale Reform’ on Police Use of Force. The son of South Asian immigrants, Grewal says he takes the anti-immigrant rhetoric personally, having been the target of racist rhetoric during his legal career. He recalled going into his law offices in Washington after the September 11th, 2001 attacks while a homeless man shouted “I found Bin Laden,” whenever Grewal walked by. “I grew up in this country…and I checked every box. I was a soccer (dad), I drove a minivan,” he said to laughter. Lingering stereotypes of immigrants motivated his own career choices, Grewal said. Grewal told the students that he had entered public service, after first considering a diplomatic career, to change people’s perceptions of him and others who looked like him. Grewal, who served as prosecutor of Bergen County, the state’s most populous county, under then-Republican Gov. Chris Christie, developed programs designed to tackle the heroin and opioid crisis, such as “Operation Helping Hand,”which offers low-level drug offenders treatment options upon arrest. Earlier, as a federal prosecutor in the Eastern District of New York and later, in New Jersey, Grewal led the successful prosecution of 12 men charged with providing material support to the Tamil Tigers terrorist group, and the prosecution of major white collar and fraud cases. Cannot stop, question, arrest, search, or detain any individual based solely on actual or suspected immigration status. Cannot ask the immigration status of any individual, unless doing so is necessary to the ongoing investigation of a serious offense and relevant to the offense under investigation. Cannot participate in ICE’s civil immigration enforcement operations. Cannot provide ICE with access to state or local law enforcement resources, including equipment, office space, databases, or property. Cannot allow ICE to interview individuals detained on criminal charges, unless the detainee is advised of his or her right to a lawyer and signs a written consent form. Cannot attack a witness’s credibility at trial based on his or her immigration status. 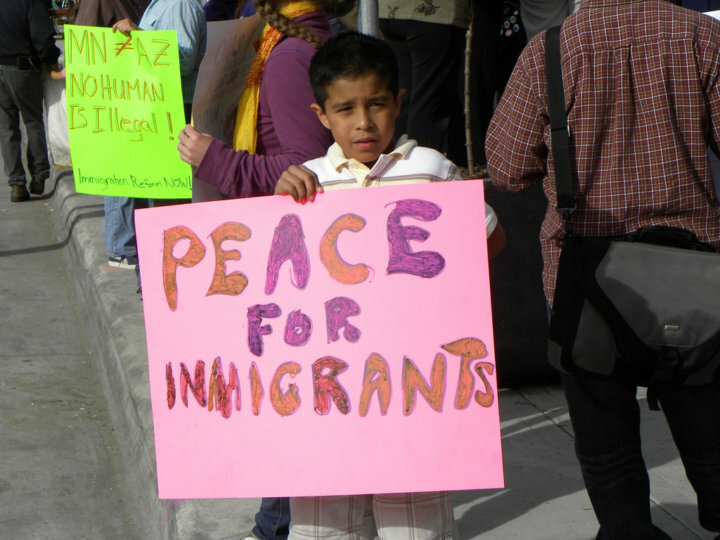 Cannot seek pretrial detention of an individual based solely on his or her immigration status. Megan Hadley is a senior staff writer for The Crime Report. Readers’ comments are welcome. Speaking at John Jay College, Gurbir Grewal charged that President Donald Trump’s distortion of crime statistics—particularly on crime allegedly committed by undocumented immigrants—is used to fit a “nationalist agenda” and undermines public safety. It would be appreciated if you were specified – legal immigrants and illegal immigrants. Under our laws, as your swore to uphold, are not one in the same. Don’t appreciate the names used against those of us who want our elected officials and criminal justice actors to support and enforce the laws of this country but I’m not demanding that they be vivified. You represent all the people of NJ to enforce and uphold the laws of your state and federal laws. Your personal views are irrelevant – if not, suggest you enter another line of work.